SmackDown General Manager Paige will announce on tonight's show that SmackDown Women's Champion Carmella will defend her title against Asuka at the WWE Money In the Bank pay-per-view. 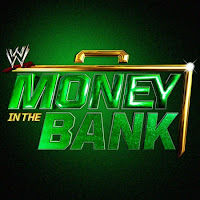 In other Money In the Bank news from today's tapings, The New Day defeated The Bar and will now get to select one of their members to enter the men's MITB Ladder Match. Becky Lynch defeated Mandy Rose and Sonya Deville to qualify for the women's match. Next week's SmackDown will feature Big Cass vs. Samoa Joe and Billie Kay vs. Lana to fill two more spots.